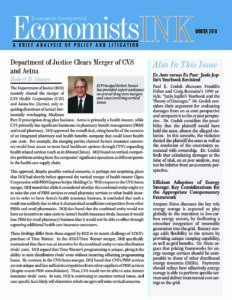 This issue discusses the Department of Justice (DOJ) clearance of the CVS/Aetna merger, ex ante versus ex post for evaluating damages, and appropriate compensatory frameworks for efficient adoption of energy storage. 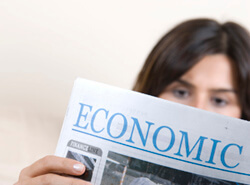 Dr. Stoner discusses the findings stated by the DOJ for dismissing possible vertical concerns with respect to the CVS/Aetna merger and how these findings differ from those argued by the DOJ in its recent challenge of AT&T’s purchase of Time Warner. Dr. Godek discusses Franklin Fisher and Craig Romaine’s 1990 article, “Janis Joplin’s Yearbook and the Theory of Damages.” Dr. Godek considers an ex post analysis of damages compared to Fisher and Romaine’s ex ante analysis. Dr. Nieto discusses the role energy storage is expected to play globally in the transition to low-carbon energy sectors. For efficient adoption of energy storage, Dr. Nieto suggests that payments for storage should reflect how effectively energy storage is able to perform specific services and deliver specific incremental cost savings to the grid.